UPDATE 6:30pm CST: Average delays at the Salt Lake City airport are 1 hour, 15 minutes. 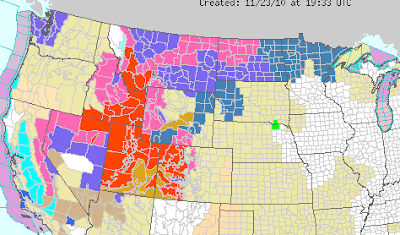 The colors represent National Weather Service winter weather warnings with orange = blizzard warning. AccuWeather's Jesse Ferrell has more. This storm needs to be taken seriously if you are traveling by car!